Will 'busting make you feel good? For Tabletop Co-Op today, we are taking a look at a board game based on a beloved movie series. In 1984, Ghostbusters was released to theaters, and became one of the biggest comedies of all time. The titular theme song raced to the top of the charts. Blending comedy with light horror elements and great special effects, the film would become a major success, spawning a sequel, two Saturday morning cartoons, and several video game adaptations. So how does Ghostbusters: The Board Game stack up against the rest of the franchise? 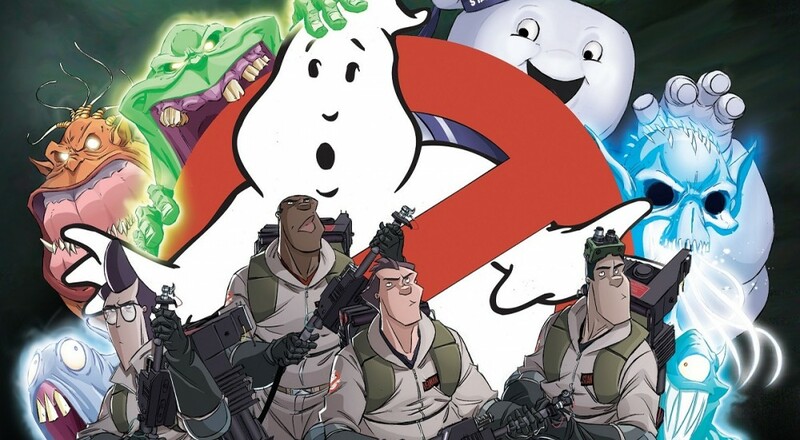 Ghostbusters comes from Cryptozoic Entertainment, a company specializing in adapting movie, TV, and comic book properties into board and card games. 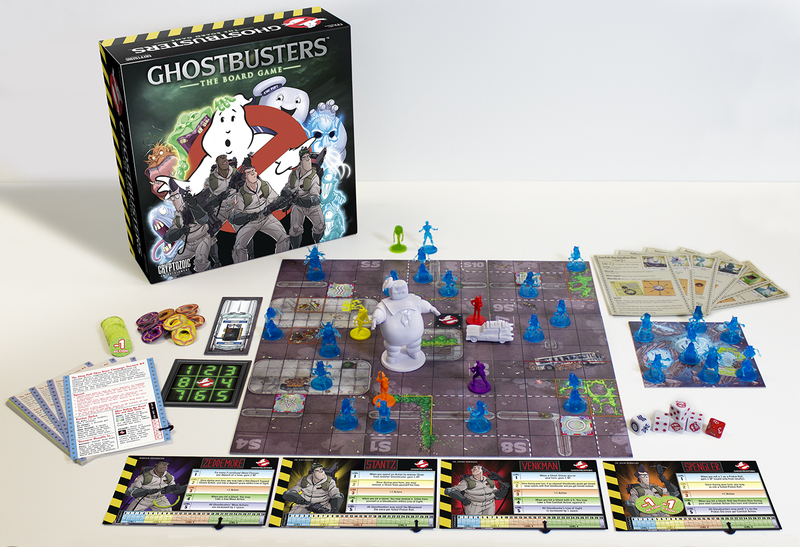 The game features dozens of miniatures, map tiles that can be set up in many different combinations, custom dice, and even a tiny plastic Ecto-1 for all your mobile Ghostbusting needs. The minis, cards, and other components use art featuring the iconic foursome from the original movie in a comic-inspired style. There’s lots of plastic and chipboard goodness in the box, and the game has an excellent presence when you set it all up on your tabletop. Players take on the role of one of the original Ghostbusters, working their way through a campaign full of scenarios. Each character has special abilities that allow him to be a better ‘Buster. Venkman, for example, gains experience when slimed, and can even swap places with other Ghostbusters when they are about to be slimed. Cryptozoic seems to have taken inspiration from Zombicide with the experience system. As players capture ghosts, they earn experience and unlock more actions and new powers and abilities. You even keep your experience from one scenario to the next, which is a nice touch, adding to the sense of an overarching narrative. So how do you capture ghosts? Each ghost has a to hit score, and if you roll that number or more on your Proton attack die, you can add a Proton Stream token to the miniature of the ghost you hit. These ring shaped tokens hang off the ghosts in a very authentic way. Tougher ghosts require teamwork to take out, often requiring up to three proton streams before they can be trapped. This is one of the most cooperative aspects of the game, and feels quite faithful to the movies. When Ghostbusters miss ghosts, bad things happen. Typically, missed ghosts move around randomly, and might run through a Ghostbuster, covering him with slime. Ghosts might land on another ghost of the same type, causing the two spirits to merge into one, tougher ghost. Either way, dealing with ghost movements is where the challenge of the game lies. Page created in 0.5522 seconds.